After a successful working partnership during the 2015/16 academic year, Fresh Student Living; one of the UK’s leading student accommodation providers; and their partner agency The Media People, approached BAM for assistance with their marketing for a second season. In the previous year we managed their face-to-face activity, sending out our skilled promotional staff to key on and off campus student areas to build brand and room vacancy awareness. 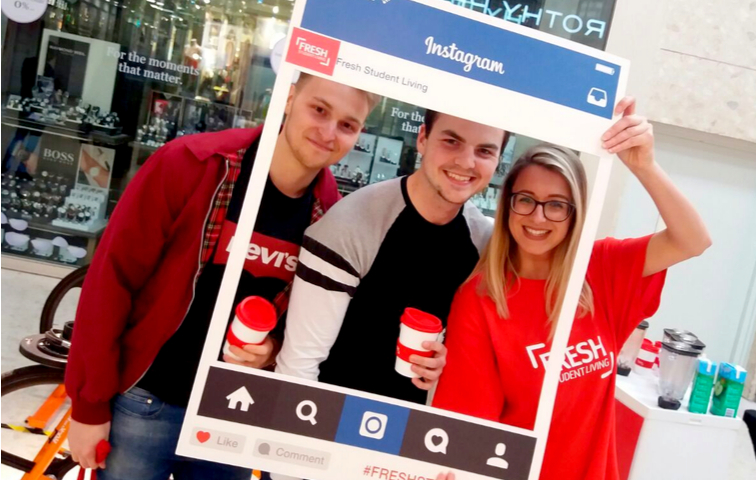 2015/16 also saw the launch of the FSL smoothie bike experiential tour, engaging students with the brand with free fresh fruit smoothies. With the recent increase in competitors vying for more student residents, the mission for 2016/17 was to continue building on the successes of the previous academic year; increasing and diversifying face-to-face activity as well building a bigger brand presence across more key student cities. Fresh Student Living and The Media People wanted to utilise BAM for a multi-channel approach, with an engaging experiential activity at the forefront of their marketing activity. 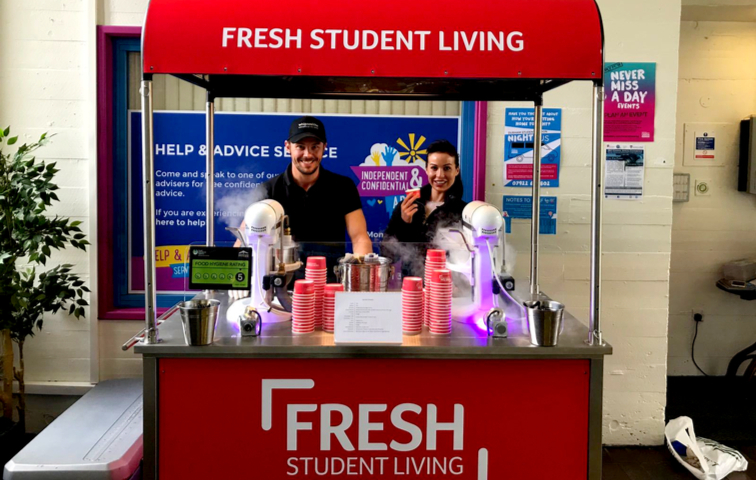 Having experienced success with their fresh fruit smoothie giveaways on campus, FSL freshened up their experiential activity by branching into other fresh food giveaways, handing out freshly brewed coffees and freshly prepared ice cream (yes there is a ‘fresh’ theme running here). Creating a positive and memorable association between the brand and students. To support the experiential activity we booked multiple days on and off campus throughout the year to target students with our hit squads, handing out promotional materials directly into the hands of students. Finally, to make sure we covered all bases, BAM ensured the FSL brand was seen across a plethora of on campus displays and student digital platforms; creating an unmissable branding experience.